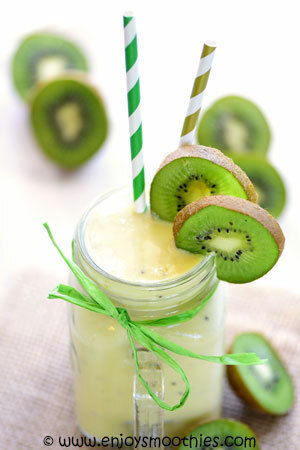 In my quest to find different smoothie combinations, I came upon a recipe for a pineapple kiwi smoothie. It may sound like an odd combination, but I can assure you it is absolutely delicious. After a bit of tweaking and experimenting with different combinations, these recipes were born. I have always loved kiwi fruit. The green juicy flesh has quite a tang, and I like to scoop it out with a spoon. Not only that but kiwi fruit is bursting with antioxidants and phytochemicals to fight those free radicals. It packs more vitamin C than an orange and is rich in fiber. While pineapple is an excellent source of not only vitamin C, but the enzyme bromelain which has been found to have anti-inflammatory properties. Especially useful for reducing pain and swelling in the joints and assisting in the treatment of conditions such as arthritis and gout. All great reasons, I am sure, to try these smoothies, but the best reason is that they are tangy and refreshingly light. There’s a tropical version with coconut milk, which I have to say is absolutely delish and my favorite. Or, if you prefer, use almond milk. Then mix things up a bit with bananas, mango or Greek yogurt, which, by the way are also great as thickeners. I prefer to use fresh or frozen pineapple rather than the tinned variety because of the added sugars. 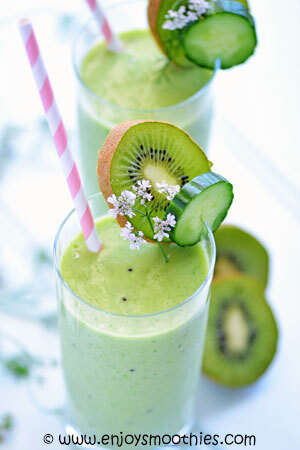 Combine the spinach leaves, frozen pineapple, kiwi, Greek yogurt and coconut milk in a blender. Blend until smooth and creamy. Pour into your favorite serving glasses. Serves two. 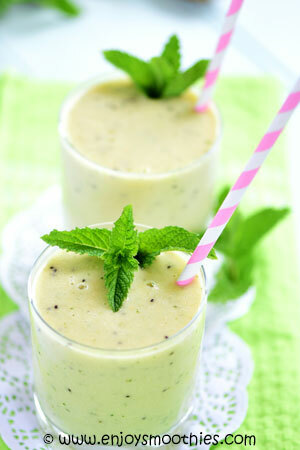 In a blender combine the mango, frozen pineapple, kiwi fruit, vanilla yogurt, coconut milk and lime juice. Cover and blend until smooth. 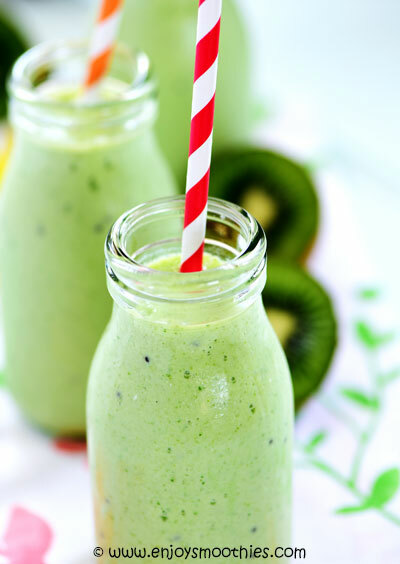 Add the frozen banana, pineapple, kiwi fruit, almond milk, cashew butter and mint leaves to your blender. Process until smooth and well blended. 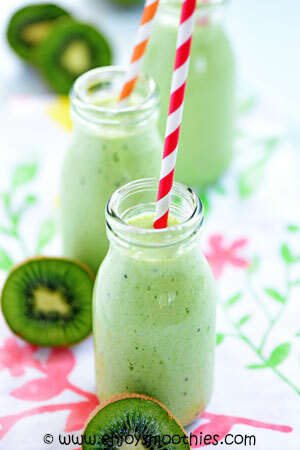 Into your blender add the frozen banana, pineapple, kiwi pieces, baby spinach leaves, cucumber, coconut milk and lime juice. Blitz on high until velvety smooth. Pour into two tall glasses, add straw and sip.